- is absorbed via a mechanism similar to that used by amino acids and unlike typical mineral ion absorption. - is not dependent on stomach acidity for absorption. 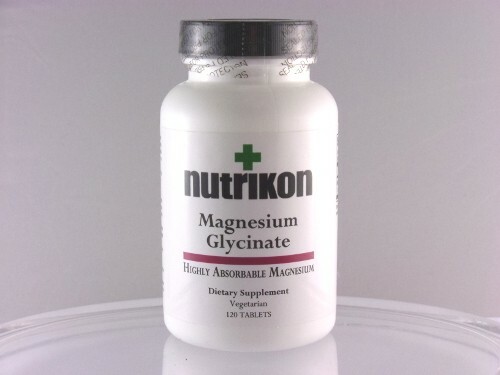 - improves bowel tolerance to magnesium. Magnesium is an essential mineral that acts as a cofactor in many metabolic processes, such as energy production. Magnesium also functions in muscle relaxation and nerve transmission. Directions: Take two tablets twice daily or as directed by your healthcare practitioner.